Capt. 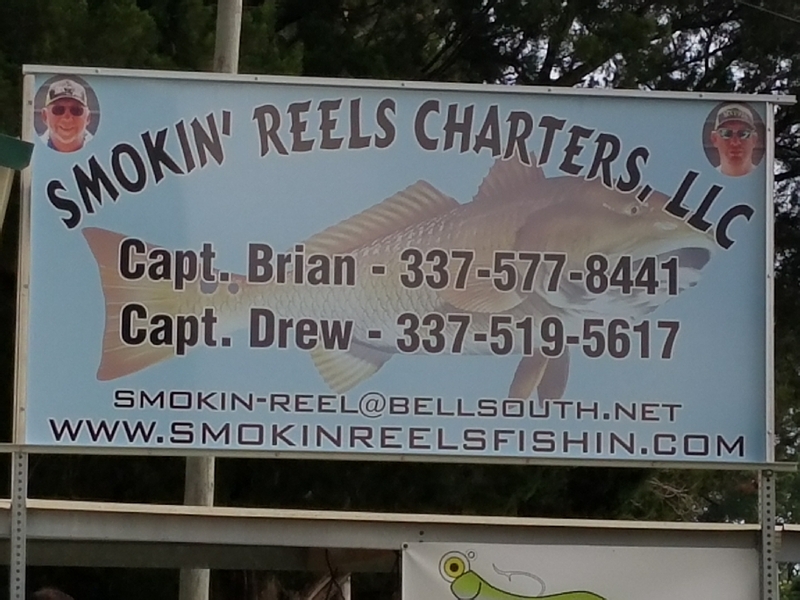 Brian & his crew w/SMOKIN’ REELS FISHIN CHARTERS didn’t limit out this morning on his half day charter. But they put a good chest of fish together. Reds, Blue cats and some black drum. It was great to catch a BIG smile on a kid with the BIGGEST and his very FIRST red fish. Awesome job Cole!!! 26 1/2long, 8.9 lbs.